James P. McCarthy was born on 7 March 1935 in Canton, OH, where he graduated from Lincoln High School. McCarthy was commissioned as a Second Lieutenant in the U.S. Air Force through the Reserve Officer Training Corps program in 1957 after obtaining his Bachelor of Science degree from Kent State University. He completed pilot training at Graham AFB, FL, and Greenville AFB, MS, and was awarded pilot wings in June 1959. He then was assigned to the 301st Bombardment Wing, Lockbourne AFB, OH, as a B-47 Stratojet pilot. He completed Squadron Officer School in 1963. In June 1964, he was assigned to the U.S. Air Force Academy in Colorado Springs, CO, as an Air Officer Commanding, with responsibility for advising and assisting a squadron of cadets in their training. While at the academy, McCarthy established the Cadet Soaring Program and served as its first Officer in Charge. In June 1967, he began F-4 Phantom II fighter training and was assigned as a pilot and Operations Officer with the 80th Tactical Fighter Squadron, Yokota Air Base, Japan. During his two years there, his Squadron was deployed to Osan Air Base, South Korea, during several international incidents. He transferred to the 366th Tactical Fighter Wing at Da Nang Air Base, Republic of Vietnam, in May 1970 as Chief of the Operations Plans Division. 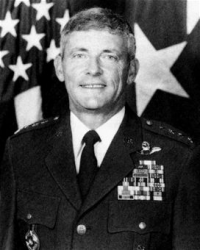 In December 1970, he became Commander of the 4th Tactical Fighter Squadron at Da Nang. He flew 152 combat missions in the F-4E Phantom II. McCarthy returned to the U.S. in June 1971 and was assigned to the Office of the Director of Programs, Headquarters U.S. Air Force, Washington, DC. That same year, he graduated from the Industrial College of the Armed Forces. He was responsible for basing Air Force units both overseas and in the U.S. He received a Master of Science degree in International Affairs from George Washington University in 1974. A year before, in August 1973, he entered the National War College and, after graduating in August 1974, became the Vice Commandant of Cadets at the U.S. Air Force Academy. Part of his responsibilities included directing the Academy's preparation for the initial admission of women in July 1976. He transferred to the 97th Bombardment Wing, Blytheville AFB, AR, in March 1977 as Vice Commander and became Commander in September 1978. In March 1979, he was named Commander of the 93rd Bombardment Wing at Castle AFB, CA. In May 1980, he returned to Air Force Headquarters as Special Assistant for M-X matters, Office of the Deputy Chief of Staff for Research, Development and Acquisition. He was responsible for the M-X program, and directed the program through most of its concept formulation phase. In October 1982, he became the Director of Legislative Liaison, Office of the Secretary of the Air Force in Washington. In that position, he advised the Secretary and all principal civilian and military officials of the Department of the Air Force concerning legislative affairs and congressional relations. In July 1984, he transferred to Headquarters Strategic Air Command at Offutt AFB, NE, where he served as Deputy Chief of Staff for Plans, developing policies, programs and requirements for the command. McCarthy assumed Command of 8th Air Force, Barksdale Air Force Base, LA, in January 1987, and was responsible for SAC operations in the eastern half of the U.S., Europe and the Middle East. He was next assigned as Deputy Chief of Staff for Programs and Resources, Air Force Headquarters, in March 1988 responsible for Air Force programming, manpower and foreign military sales. 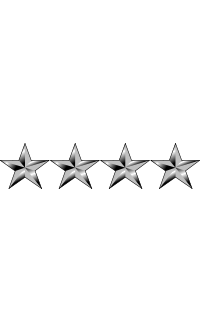 On 1 October 1989, McCarthy was promoted to the four-star rank of General and assumed his final position as Deputy Commander-in-Chief, U.S. European Command (DCINCEUR). General McCarthy retired from the Air Force on 30 November 1992. During his service, he became a Command Pilot with over 6,000 flying hours in 28 different types of aircraft. During his retirement, he has written a number of books. He has also become a Professor in the Political Science Department at the U.S. Air Force Academy. 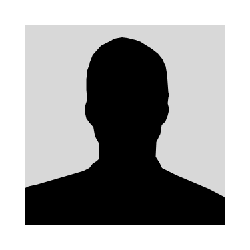 He also has served on the Board of Directors of EADS North America, ISX and NAVSYS.